STEVEN C. BEER concentrates his practice on film, television and music matters. He represents industry-leading film production, film finance and film distribution companies and has acted as counsel to numerous award-winning writers, directors, producers, and multi-platinum musical artists. In today’s competitive society, parents face great pressure to encourage their children to follow their dreams and strive for excellence. 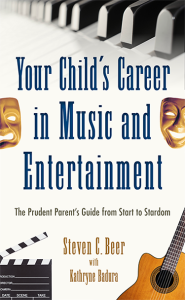 Organized in a practical question-and-answer format, Your Child’s Career in Music and Entertainment: The Prudent Parent’s Guide raises and addresses many of the issues parents encounter when seeking to turn their children’s creative passion and talent into a sustainable career in entertainment.